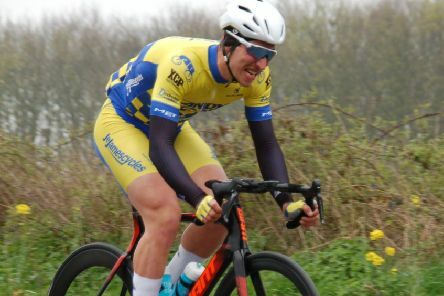 The stunning early-season form of Staveley rider Damien ‘El Dynamo’ Clayton has propelled him to the top of British cycling’s national elite rankings. 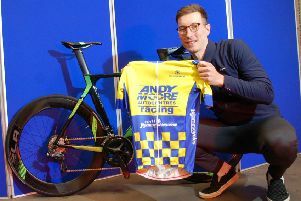 Riders from Staveley’s own cycling team were not disgraced when coming face to face with a star-studded field of paid professionals in a prestigious 130km race in Leicestershire on Sunday. 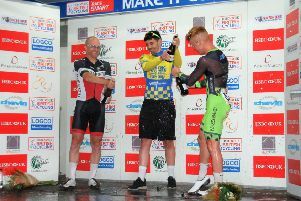 A powerful victory by new signing Damien ‘El Dynamo’ Clayton continued the sparkling start to the season by Staveley’s cycling team, Andy Moore/J.E.James Racing. 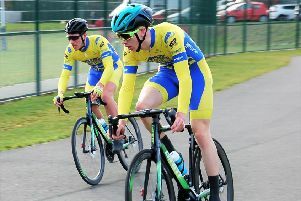 New signing Damien ‘El Dynamo’ Clayton and junior champion Aaron ‘Supersonic Smiffy’ Chambers-Smith got their new seasons off to a flier for Staveley’s cycling team. 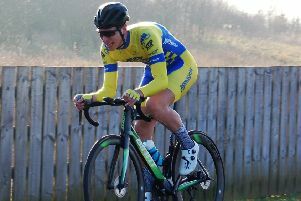 Staveley’s progressive cycling team has unveiled one of the sport’s hottest talents, Damien ‘El Dynamo’ Clayton’, as their new signing for 2019. 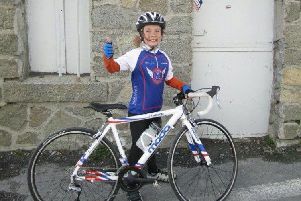 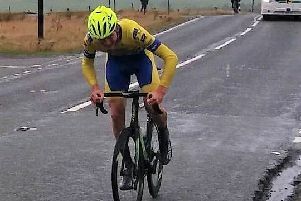 Staveley’s young cycling star Aaron Chambers-Smith put the icing on the cake of a stellar season by taking the National Junior 25-Mile TT Road Championship in Wales. 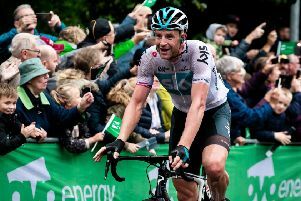 There was a surprise as Team Sky veteran Ian Stannard rode to victory when the Tour of Britain returned to Nottinghamshire. 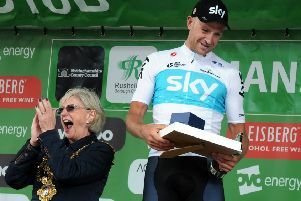 Ian Stannard won stage seven as the Tour of Britain passed through Mansfield today. 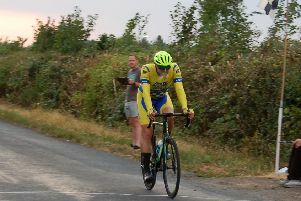 Frenchman Julian Alaphilippe moved into the OVO Energy Tour of Britain race lead with two stages remaining after finishing second behind Team Sky’s Wout Poels at Whinlatter on Friday afternoon. 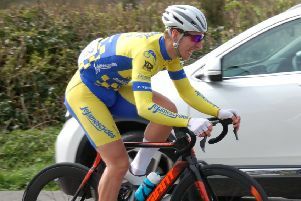 Fresh from being crowned North Midlands Road Race League champion, Dean Watson produced another stunning performance for Staveley’s red-hot cycling team. 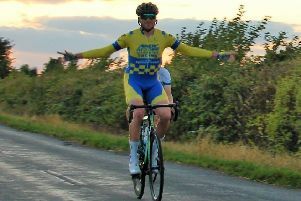 Another polished, professional performance by Staveley-based Dean Watson sealed victory and the North Midlands Road Race League title at Dinnington. 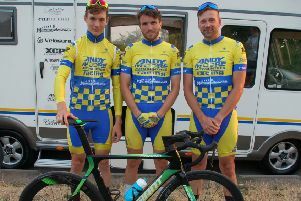 Deadly Dean Watson is almost assured of the title after another one-two-three on the podium for Staveley’s own cycling team in the TLI North Midlands Road Race Series. 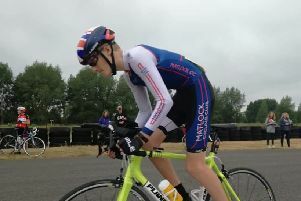 Darley Moor Sports Centre was the setting for this year’s British Schools Cycling Association East Midlands Regional Championships on Sunday. 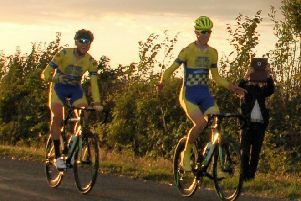 A dream one-two-three podium finish in the latest round of the TLI North Midlands Road Race Series was the highlight of a hectic week of action for Staveley’s own cycling team. 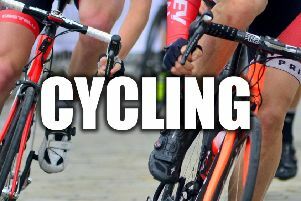 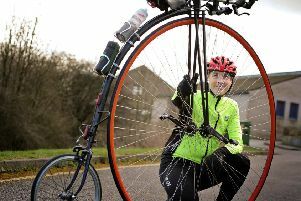 Most cyclists try to avoid Derbyshire’s longest, steepest hills. 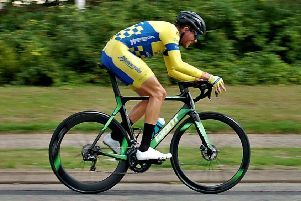 A Staveley-based cycling team rider is enjoying his time in the saddle of late and hit top spot with a notable victory at the Otley Town Centre Races. 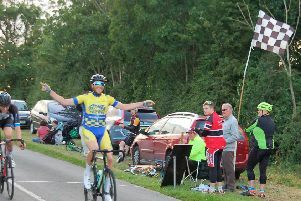 The continued rise in form of cycling star Dean Watson was demonstrated again with victory at the NMRRL Road Race at Serlby. 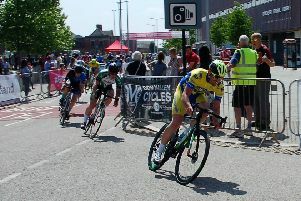 Staveley’s own cycling team rubbed shoulders with a star-studded field at the prestigious Doncaster Festival on Sunday, and enjoyed another productive day at the office.